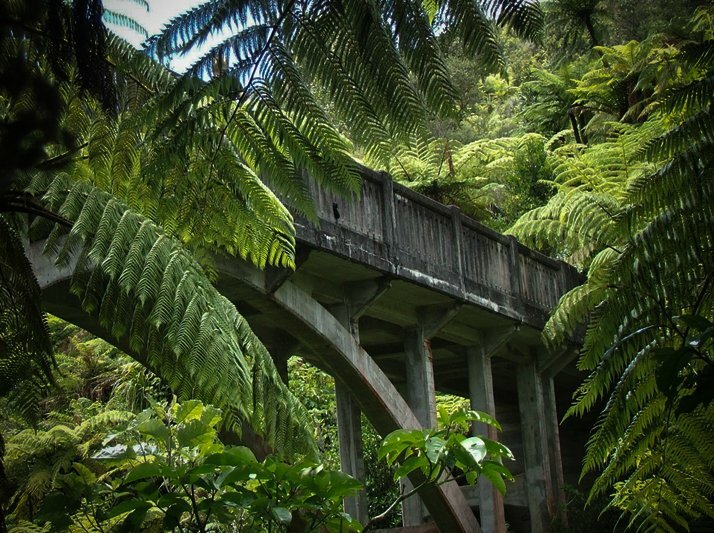 The old coach Road is an enjoyable scenic ride steeped with New Zealand history. The track had been completely forgotten until recently. After plenty of research, historians have found why the road was there, and after years of hard work the road has been reopened for you all to enjoy. As you cycle the track you will come across interactive activities, and information sites which help to fill you in on the recently discovered history. 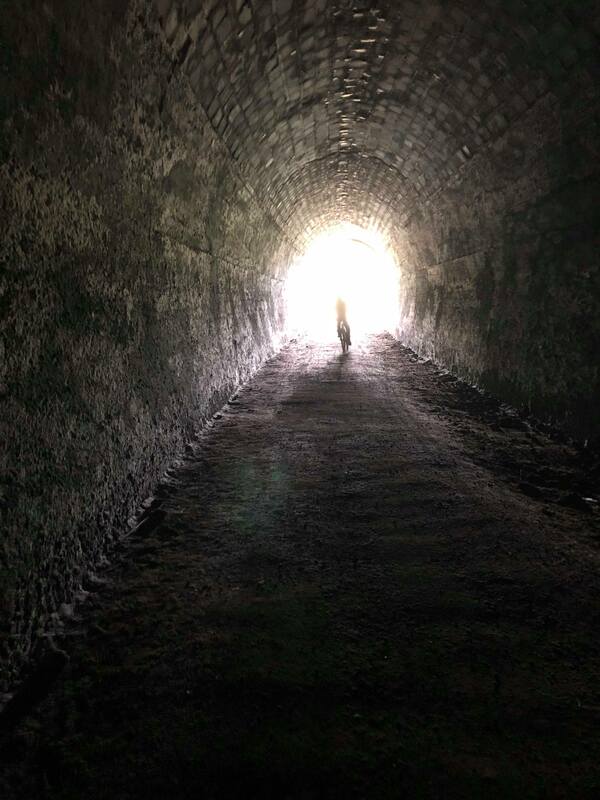 Ride through an old railway tunnel and across gorgeous viaducts. 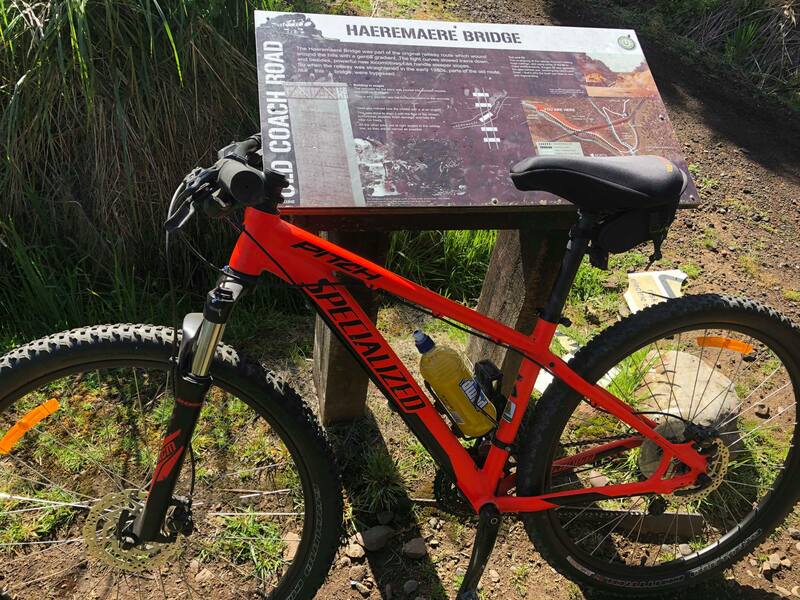 This ride shows off amazing bush, streams, and amazing architecture – a perfect short ride for you and your family. 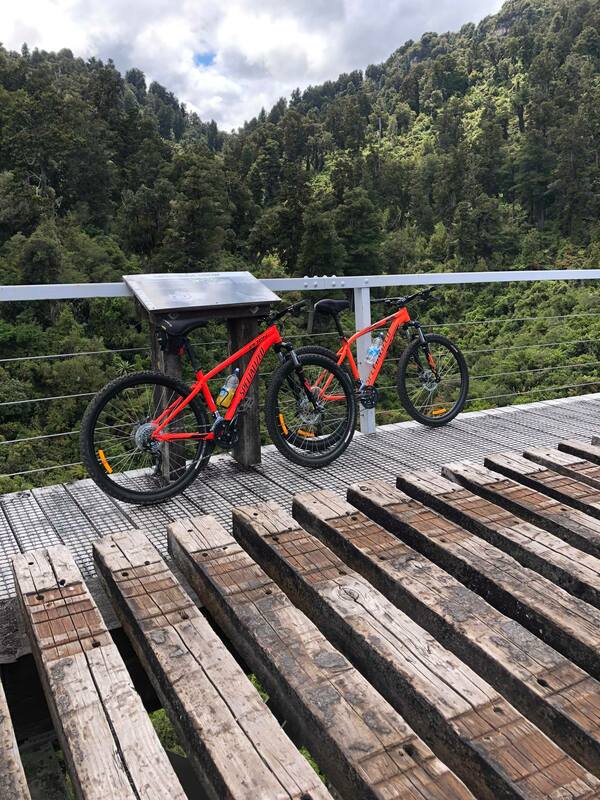 • Leave your car at the Raetihi Holiday Park, board our shuttle bus which will take you and your bike to Horopito to the start of your bike ride. 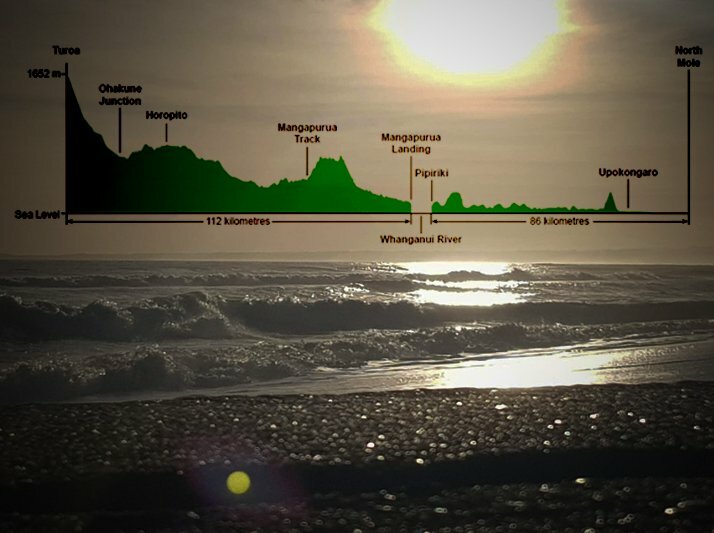 The Mangapurua is a beautiful ride, through the valley of forgotten dreams. 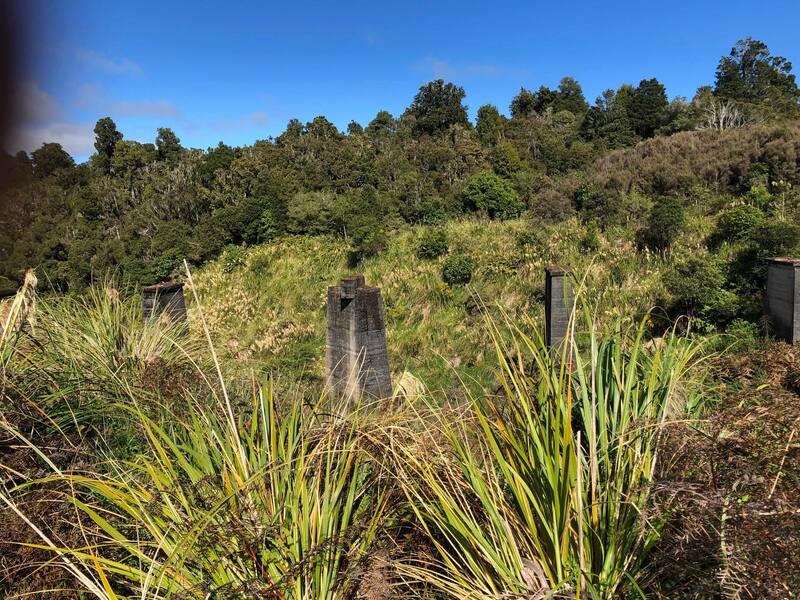 Ride uphill to the Mangapurua Junction, with a Carved Totara Pou which has been erected to symbolise the forest, and safety for visitors. This Pou is a tribute to the settlers of the valley. Continue to the Trig, where the track heads downhill through the beautiful forest. 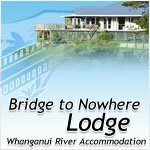 You will cross swing bridges, manoeuvre past narrow bluffs and find yourself at the famous Bridge to Nowhere – a perfect spot to stop and catch your breath and enjoy the scenery. 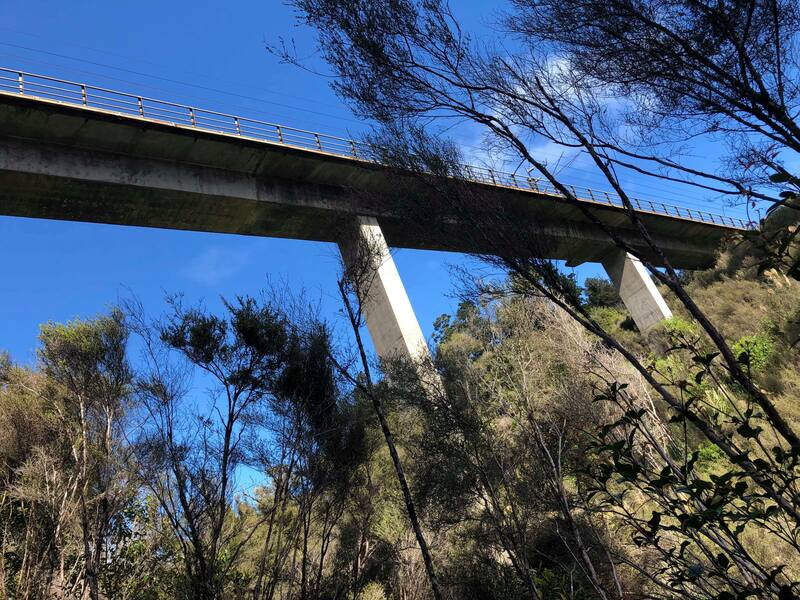 From the Bridge to Nowhere you will ride another 2.7 km through the native forest to the Mangapurua Landing. 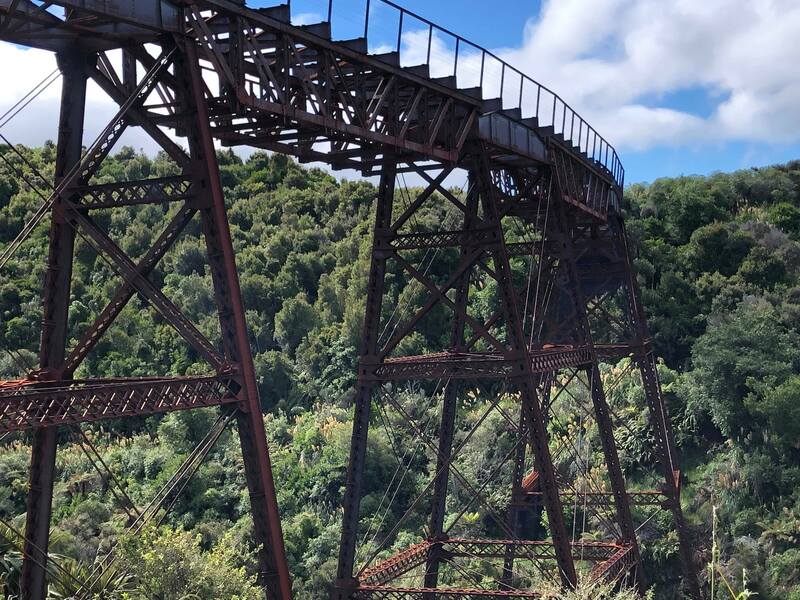 The Bridge to Nowhere Tours will be waiting for you and your bikes at an agreed time, they have specially built bike racks for their jet boat, and you can enjoy views of more Native Bush, Gorges, waterfalls, and just the breathtaking beauty of the Whanganui National Park while you are jet boated back to Pipiriki. 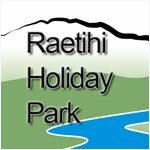 Our shuttle will be waiting in Pipiriki to bring you back to the Raetihi Holiday Park. 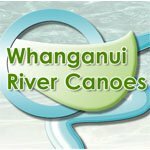 The Mangapurua is our specialty track. We have tramped, camped in and hunted in this area for years, and have biked it a few times too. 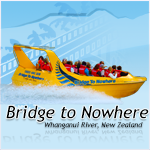 During Summer Ben walks in to the Bridge to Nowhere pretty much daily in his job as a jet boat driver for the Bridge to Nowhere Jet boat tours, so we know the track better than anyone else. 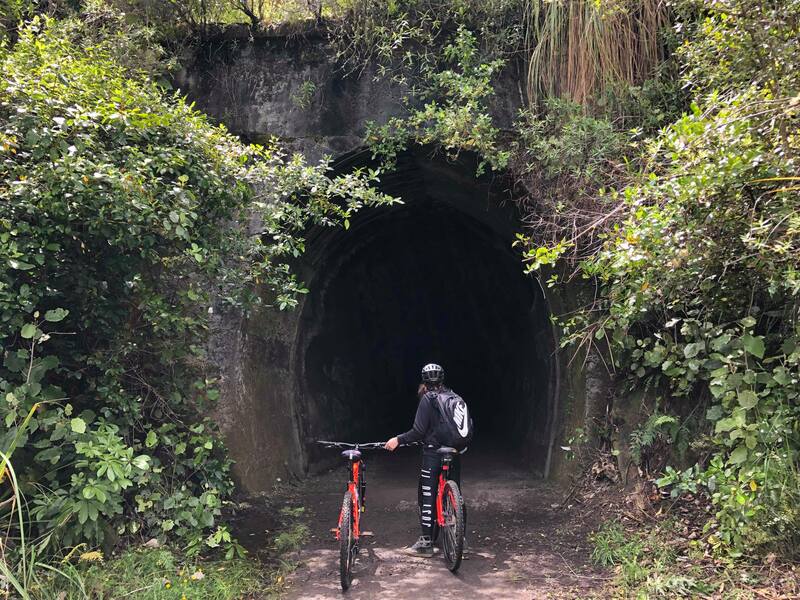 The Mountains To Sea Trail is the mountain biking highlight of our region, it has 6 distinct sections, and we can help you with bike hire, and shuttles for each. 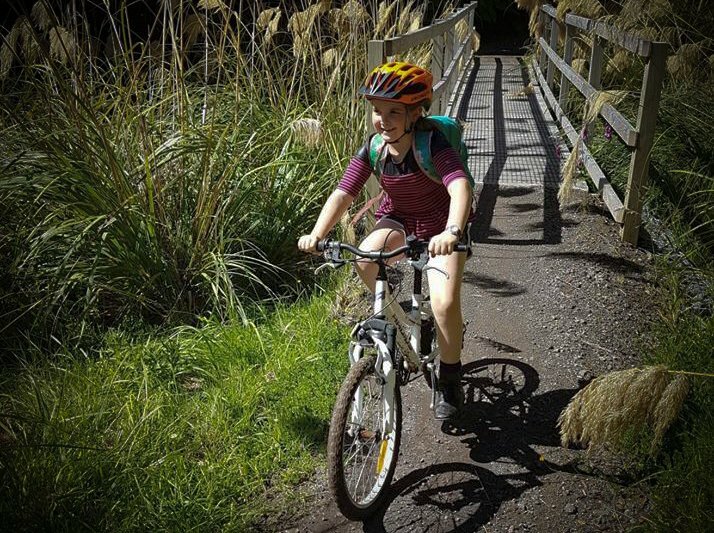 The Fishers track is a quick downhill ride through farmland- from National Park down towards Retaruke. The track is easy to follow, with a few quick twists and turns and beautiful views of the surrounding National Park and the Retaruke Valley. 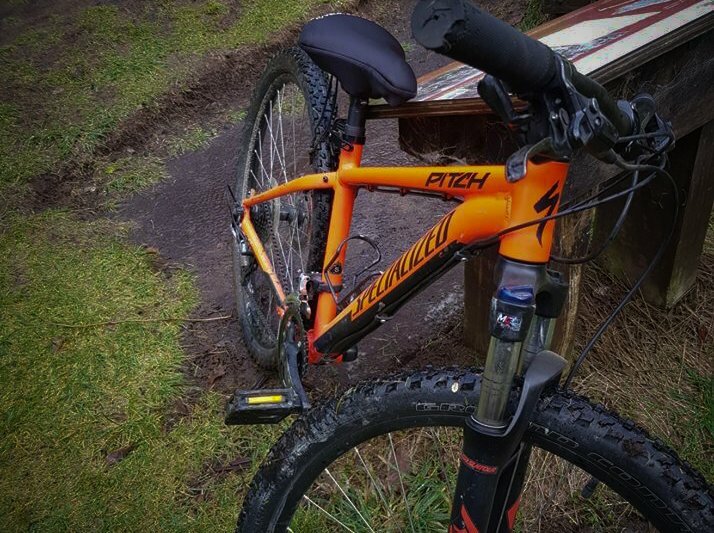 • Leave your car at the Raetihi Holiday Park, board our shuttle bus which will take you and your bike to National Park to the start of your bike ride.